It seems life is getting easier by the minute for the working girl, at least as far as her daily wardrobe woes are concerned. There was a time when Khaadi or tailor stitched lawn suits were the only option available and that instigated constant overlap. A friend once told us how she and her assistant ended up wearing the same outfit to work, and naturally the poor assistant was made to go home and change! Today designers are bending over backwards to produce a constant stream of smart casual prêt wear for the woman who hasn’t the time of day or will to make repeated trips to the market and subsequently to the tailor. But this dynamic poses its own problems due to an over concentrated supply from the self proclaimed designer sector. When considering work wear, volume is key as circling to the same outfit too soon is a major damper and will probably affect your confidence levels at work. Let’s take a look at some of the essential puzzle pieces that make up a modern day chic and affordable working wardrobe. For the young professional who wants to keep cool and stay fresh, breezy muslins in calming hues courtesy The Pink Tree Company by Mohsin Sayeed are the way to go. We are all eyes for their summer prints that set themselves apart with an overlay of the finest quality muslins finished with minimal embroidered motifs. Blazing temperatures are no excuse for turning to transparent clothing and the Pink Tree Company achieves the perfect balance of seasonal comfort and style without going too sheer. The latest addition to modern day prêt is Coco by Zara Shahjahan following the designer’s solo label store launch in Lahore. Coco’s fusion white tunics with bright pops of colored detailing are available in a range of hemlines so you can go from a cinched waist with jeans for casual Fridays to official client meeting form. There are dressier options to choose from as well along with signature floral loose fitting pants. While the Lahore clan can visit the store directly, for us Karachiites Labels is now stocking the line both on their racks and the eStore. Adnan Pardesy for Working Woman has just released its second signature collection based around the serious professional but nonetheless glamorous woman. Hard to believe? We thought so as well until we saw the shoot. Structured silhouettes in solid deep and vivid shades ranging from fuchsia and navy to classic black and creamy whites form the signature. Subtle pleated accents and shapely hemline cuts are the only play on fabrics. Looking at the pieces we would associate them with the woman in control who comes to the rescue. 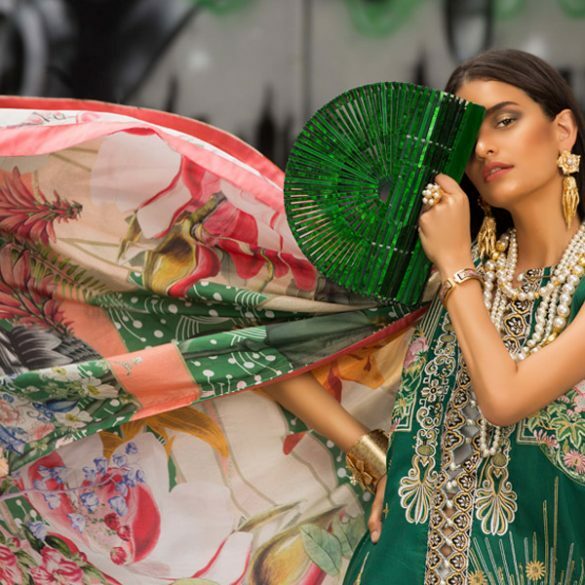 Slate under the Faiza Samee umbrella, is one of the original design houses that opened up alternatives for the woman who wants to wear vibrant prints mixed together in fun tailored cuts but would be utterly confused about where to begin if she had to do it herself. Slate print assembling techniques are truly praiseworthy in the way that they appear to be effortlessly thrown together but are carefully contemplated in actuality. Sanam Chaudhri and Maheen Karim for Bonanza made the designer element accessible to the high street shopper. One can easily walk into any one of their gazillion stores and pick out three to four outfits without a moment’s hesitation because it is easy on your wallet and you know you’ll just want to wear it over and over. Then it is simply about having a few different colored tights and pairing up according to your mood. What we love is how their cuts have no need for annoying dupattas, at most a scarf is all you need. Finally if its unique prints you’re craving, the Sana Safinaz Pret store is the place to be. Their ikat prints in particular are delightful, the cotton fabric is breathable, and the cuts shift from classic to trendy with the addition of one of their skinny chain belts. Sizes are never an issue and whatever your hemline rules you won’t be disappointed. What's in Store: Inside the Nida Azwer Atelier in Karachi! Makeup File with Natasha: Lipstick Jungle for the Desi Fashionista!